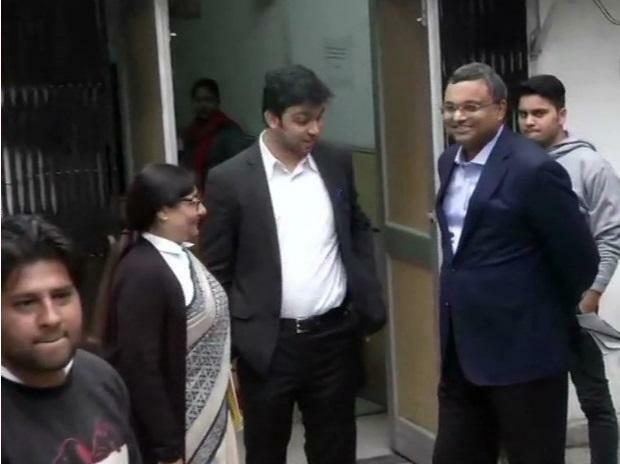 Karti Chidambaram, son of former finance minister P Chidambaram, appeared before the Enforcement Directorate (ED) on Thursday in connection with a money laundering probe against him. Officials said Karti Chidambaram was summoned to record his statement under the Prevention of Money Laundering Act (PMLA). He arrived at the ED office in Jamnagar House in central Delhi at about 11 am. It is understood that he would be questioned in the INX Media case, officials said. The agency has alleged that Karti received money from INX Media, using his influence to manipulate a tax probe against it in a case of violation of Foreign Investment Promotion Board (FIPB) conditions to receive investment from Mauritius. It registered a PMLA case in May 2017 to probe the issue.